Are you trying to find a better way to unwind at the end of the day or looking to capture that spa experience without the hassle of leaving your house? 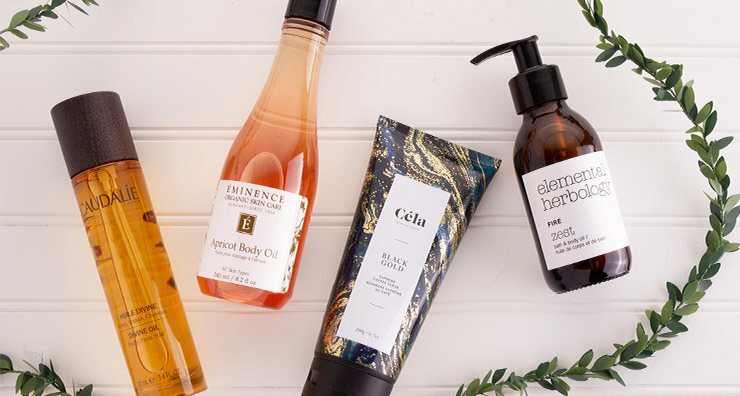 These nourishing body products evoke the luxury of a spa service or rejuvenating massage whether you want to awaken your body before a big day or destress after work. Find the best body oil for your concerns and learn how to make sure your body benefits the most from your solo spa date. Every good body oil deserves to be paired with an effective body scrub. Similar to the face, exfoliating the body with a scrub gets rid of buildup and debris, unclogging pores and allowing products to efficiently penetrate the skin. If you’ve ever applied body oil and felt like it just sat on the surface of your skin, a lack of exfoliation could have been the culprit. Make the most of your pampering by pairing your body oil of choice with a skin-stimulating body scrub. Have you ever dreamed of giving your body the same boost your favorite latte gives your mind? Well, it’s time to wake up and smell the coffee because your dream just came true. This caffeine-rich scrub invigorates the body with finely ground coffee beans and coarse raw sugar, providing skin with two sizes of exfoliating particles to slough away dull cells. Formulated with nourishing Abyssinian oil to prevent irritation, this exfoliator also improves the appearance of cellulite and provides antioxidant benefits to fight free radicals throughout the day. 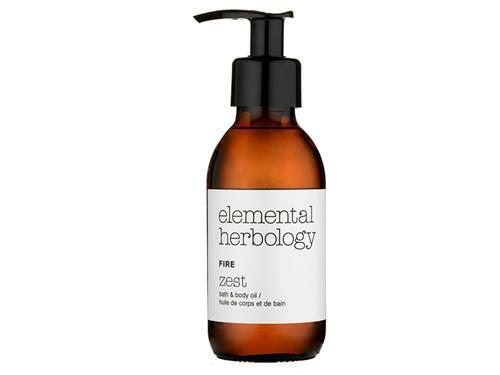 Prepare your body for whatever the day has in store with this body oil that both stimulates and softens skin. Its powerful collection of essential oils provides an aromatic experience that awakens the senses and body alike, making it an ideal treatment to begin the day. Sweet orange and rosemary were sought out for their energizing and anti-inflammatory properties while basil promotes stress-free alertness. When applied directly after exfoliating and bathing, this deeply hydrating oil soaks into skin effortlessly. A staff favorite for its luxurious texture and soothing formula, this body oil promotes awareness with its mixture of subtle floral and woodsy aromas. Known for their antioxidant-rich products, this Caudalie dry oil lives up to that reputation, instilling the body with polyphenols and grape seed extract to protect the complexion from free radicals and pollution faced throughout the day. Unlike other oils that may weigh skin down and feel greasy long after application, dry oils like the Caudalie Divine Oil absorb quickly, boosting radiance and moisture without leaving a trace. Pro Tip: Dry hair and split ends got you down? After applying Caudalie Divine Oil to the body, smooth the remaining product over brittle locks to breathe new life into parched strands. Since this formula contains hair-friendly ingredients like argan oil, it’s beneficial for both hair and skin alike. With this sugar scrub’s ability to both exfoliate and moisturize the complexion at once, it’s easy to see how it became fan favorite. The whipped texture of this exfoliator glides over skin, sloughing off dull skin cells before transitioning into a body oil. As the crystals dissolve, this gentle formula soaks into skin and deeply hydrates with cold-pressed coconut and almond oils. 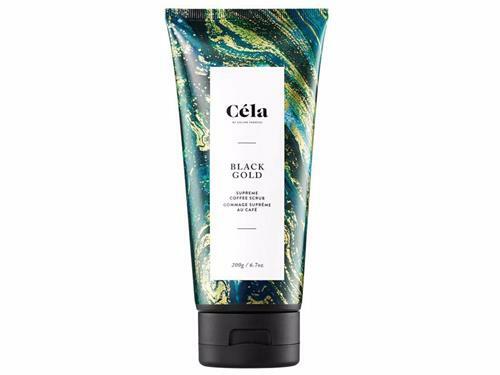 This natural scrub is also free of parabens, sulfates and other common irritants to prevent inflammation that may occur with harsher physical exfoliants. Truly the best of both worlds, this whipped sugar scrub provides an indulgent experience whether paired with a traditional body oil or used alone. Whether you need to decompress or simply feel like treating your body to a little R&R, this organic massage oil repairs skin, restoring softness and minimizing signs of aging. Ideal of dry or cracked skin, especially elbows and knees, this deeply nourishing formula features a blend of hydrating hero ingredients, such as apricot, jojoba, grapeseed and seabuckthorn. More than just a moisturizer, this body oil rejuvenates the complexion with powerful vitamins A, C and E. These antioxidants smooth the appearance of fine lines and promote an even complexion. Skin is left protected, hydrated and relieved. 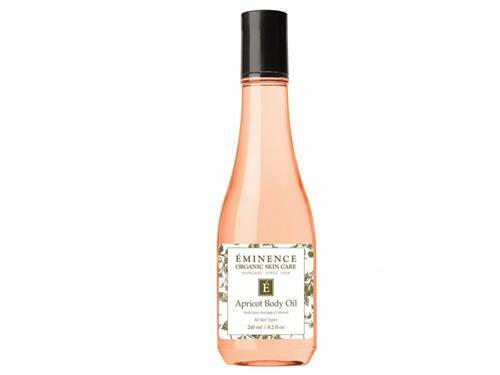 Pro Tip: Mixing a dab of your favorite moisturizer with the Eminence Organics Apricot Body Oil is a great way to provide dehydrated skin with the extra boost of moisture it needs and allows you to further customize your at-home spa experience. Correct while you recover with the Makari Extreme Argan & Carrot Botanical Body Oil. Formulated with soothing soybean, almond and camelina, this lightweight oil is packed with anti-aging benefits. Carrot seed oil provides skin with a rich source of vitamin A. This key ingredient encourages healthy cell renewal to soften rough textures, brighten skin, restore firmness and diminish wrinkles. To prevent irritation, anti-inflammatory argan oil maintains a calm complexion while promoting a more even skin tone. Do away with fatigue and ready your body for another day with this antioxidant oil. Now that you’ve seen the benefits of body oil for yourself, find out why you should be using oils on your face as well by reading our blog! Hydrate and soften skin with the Makari Extreme Carrot & Argan Botanical Body Oil.